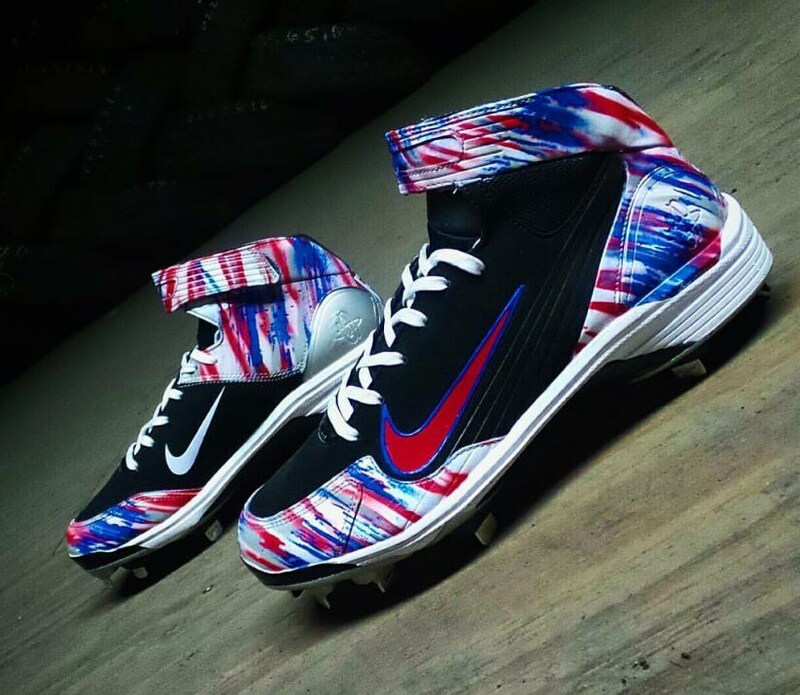 Custom cleats for baseball are a relatively new phenomenon, yet 2016 has seen an explosion of great artists using baseball cleats as their canvas. Its the best thing going in sports fashion, as far as we’re concerned. 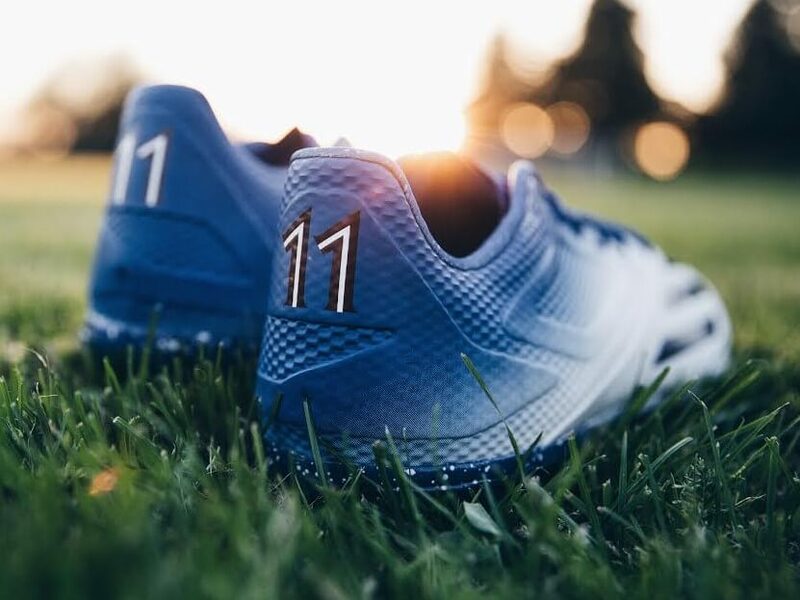 In the Golden Age of cleats, this is a top 10 list celebrating the best of the best so far. I made it a point to rank them #1 through #10, mostly to just start a conversation. They’re all fire and #10 could be #1 for some people and I wouldn’t argue. I know you have strong opinions, and we’d love for you to vote at the end for your fave. Soles by Sir, aka Marcus Rivero, does a lot of abstract patterns like this, and these LWP90s for the heavyweight champ Rougned Odor is one of his filthiest designs. I’m a sucker for the red, white & blue, but who isn’t? 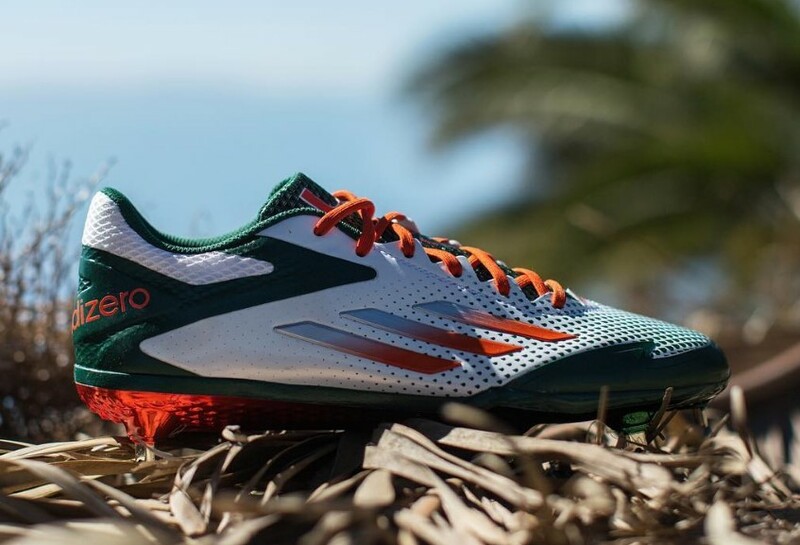 adidas baseball is the busiest shop in the game, seemingly pumping out a new custom every day lately. 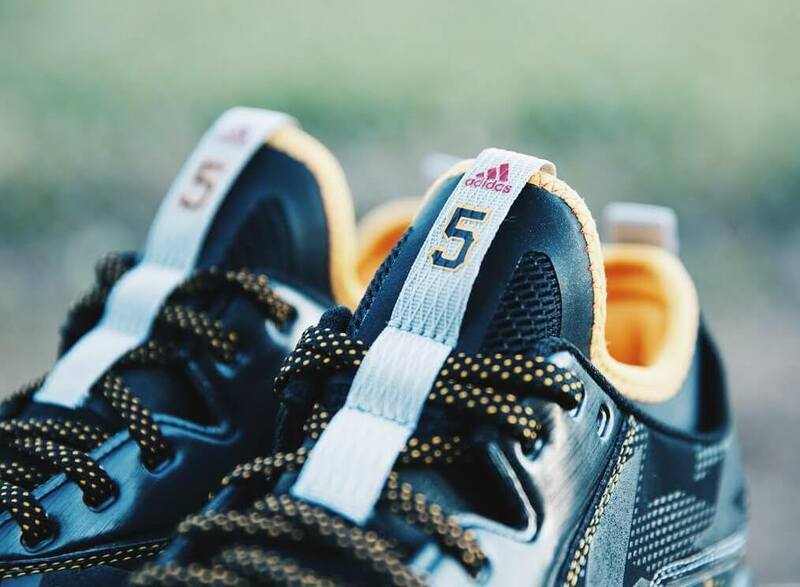 Josh Harrison may not be their biggest name, but no adidas athlete has more swag than J-Hay. The upcoming Boost Icon 2 (more release details here) only serves to reinforce Harrison’s dominance in the style category. 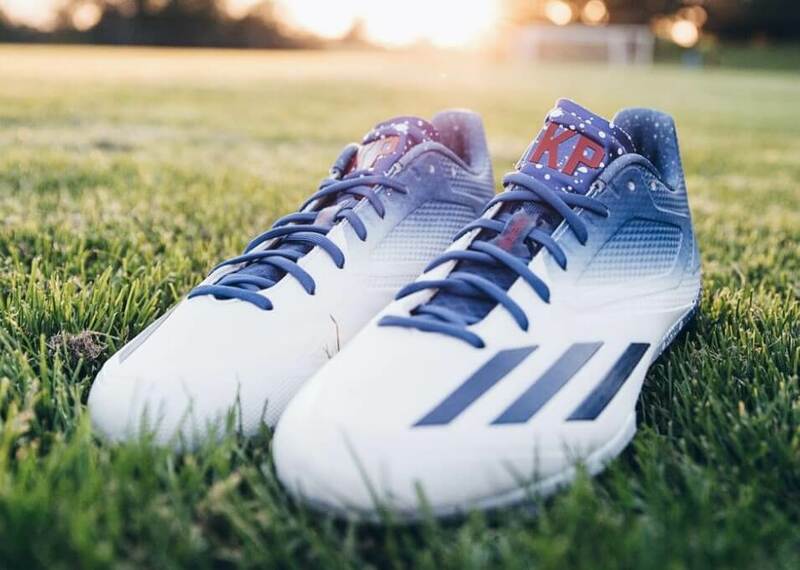 This one has as much attention to detail as any cleat you’ll ever see, all the way down to the built-in autograph and the polka-dot laces. The best recruiting tool in the country. The Seminole Trout 2. 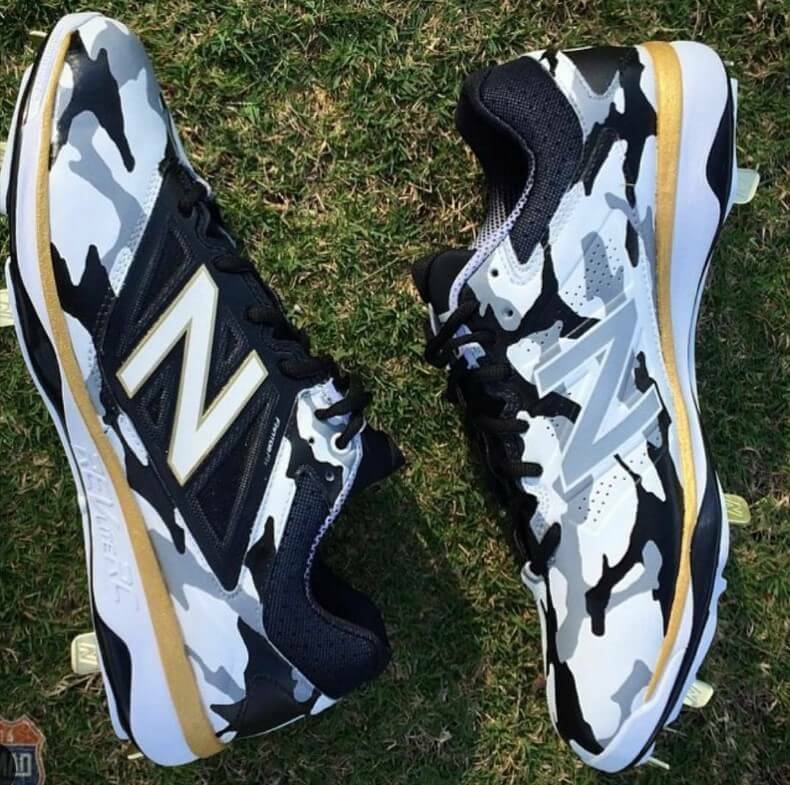 The pattern on Bryce Harper’s new signature cleat is absolutely gorgeous and seems like it will offer plenty of options for customization. This black/white/red version is our favorite so far. The Jordan 4 will appear three times on this list, and maybe that’s not enough. 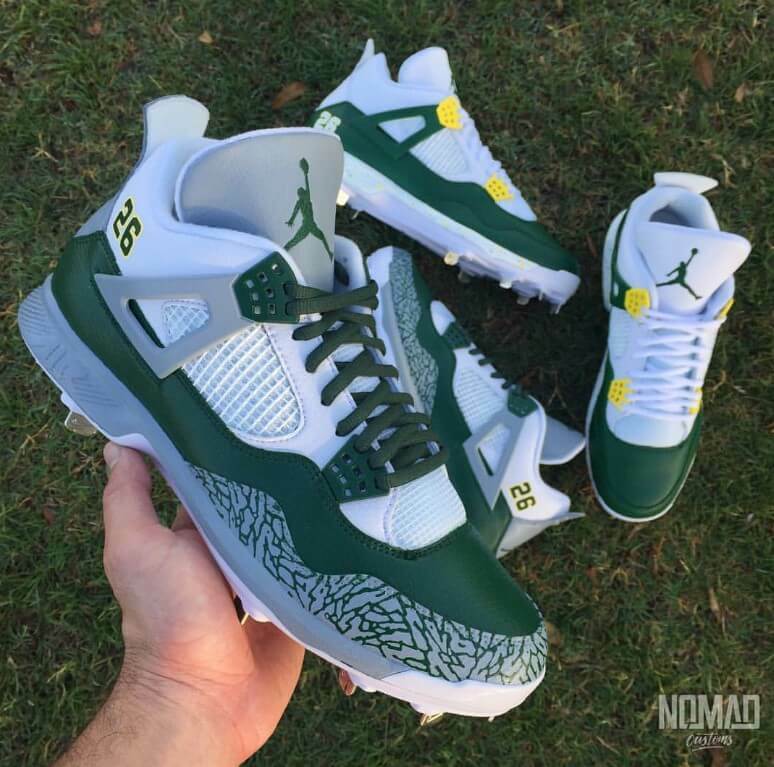 Its the best-looking Jordan shoe ever, and these artists bring it to another level. True Blue Customs took the color fade and added a honeycomb pattern that makes these things look vicious. 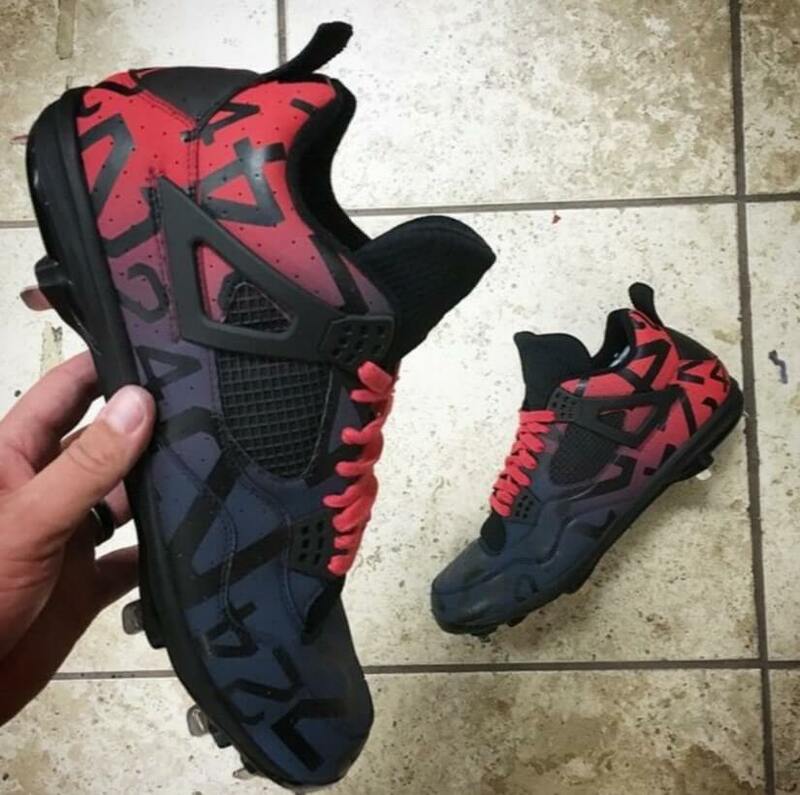 Points off for the black parts, which I think should have been red, but you barely notice that with the rest of the cleat looking so damn good. Simplicity at its finest with this take on the J-4, by Nomad Customs. 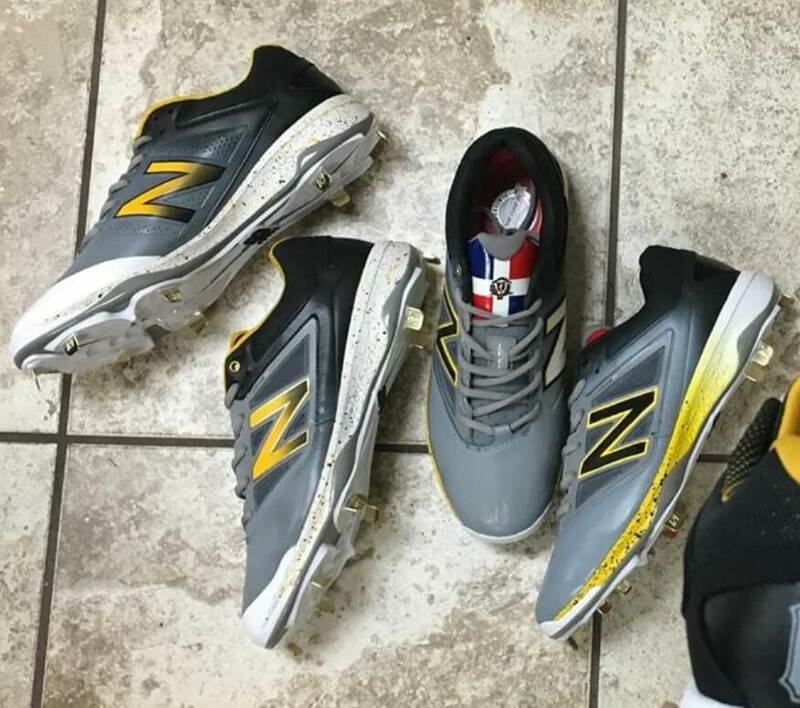 I almost put the Danny Valencia elephant prints (honorable mention) here, but these classics for Drew Butera with the gold accent are too clean. I hope Butera scrubs these down with a new toothbrush every inning. As I narrowed it down to the best of the best, creativity is what set the top 3 apart from the rest. 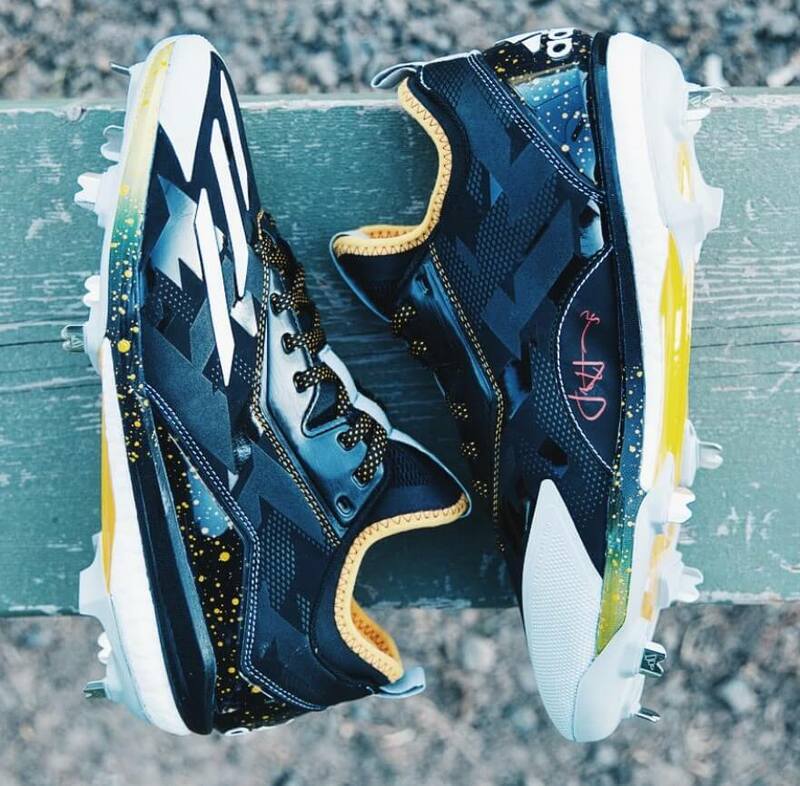 David Price’s number 24 (also Manny and Dwight Evans’) features prominently on this masterpiece by one of the most talented shoe artists in the world, Mache Custom Kicks. 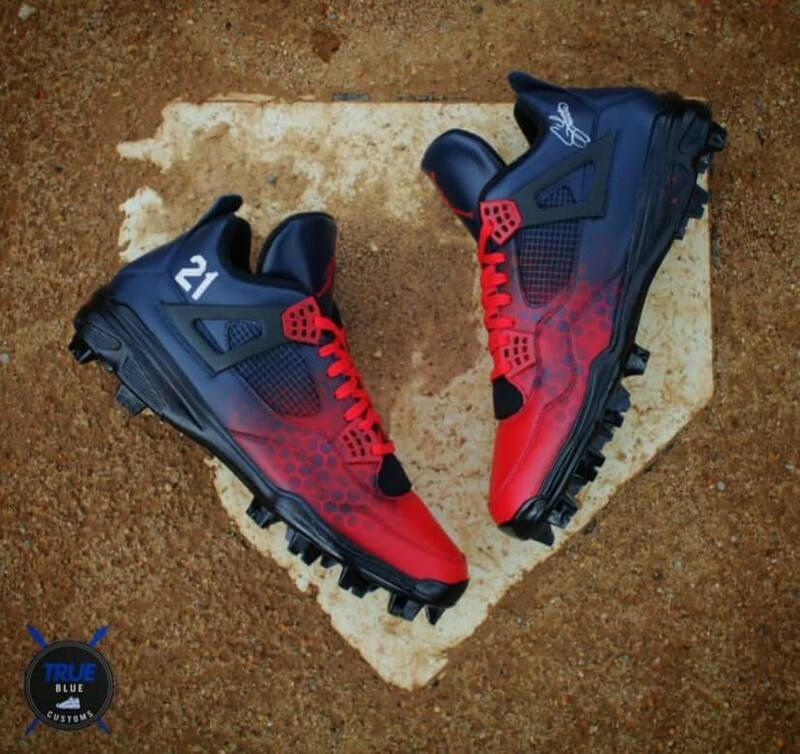 Pair that with the stunning color fade, and you have one of the sickest cleats David Price has ever worn. 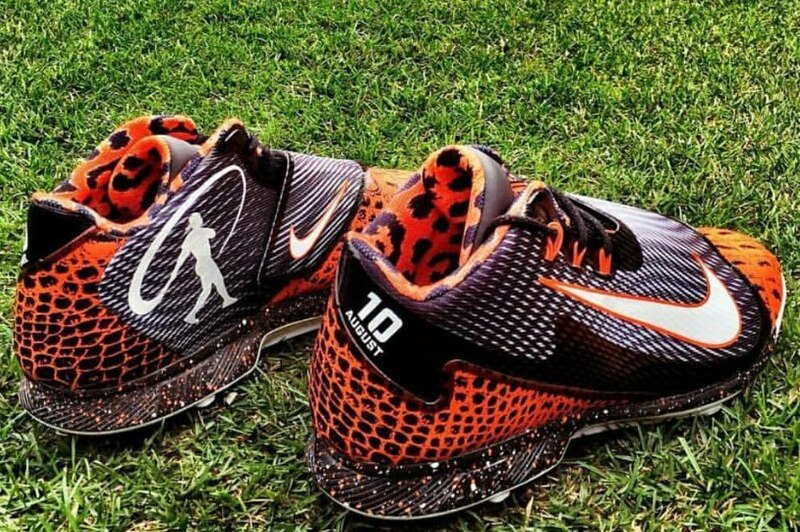 Adam Jones has had some hits, and some misses when it comes to cleats. 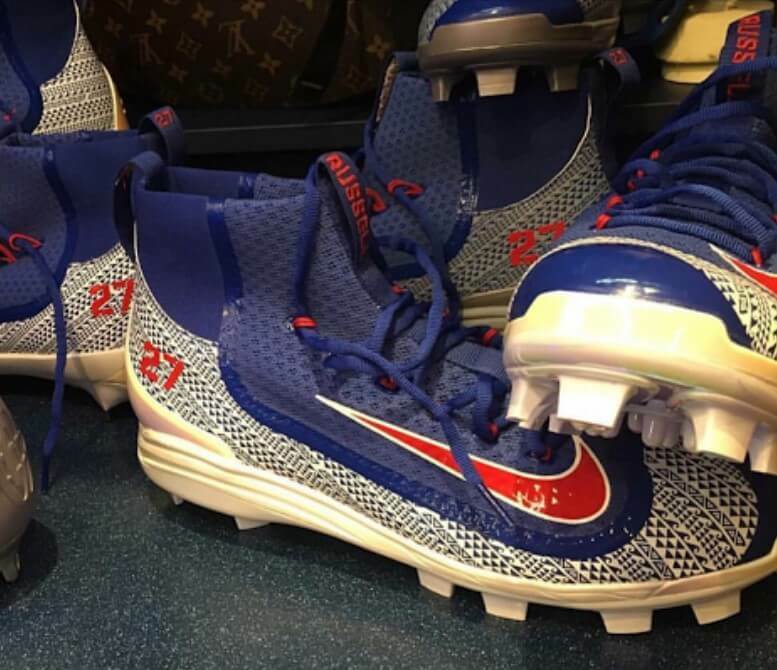 His designs are fearless, always involving animal print, and guaranteed to be the loudest cleat on any diamond. This Swingman Legend has it all. Tiger print on the inside, two types of reptilian print on the outside, paint-splattered soles, and a giant Griffey Swingman logo, all on an already head-turning silhouette. 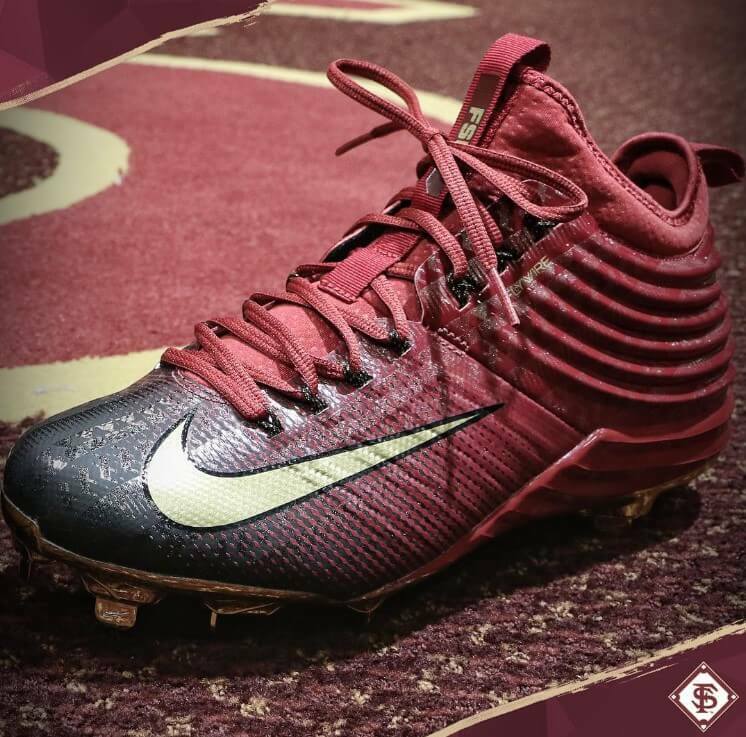 If you tried to describe this cleat without showing it to me, I would say no way—but these bad boys are Jonesy’s best ever. 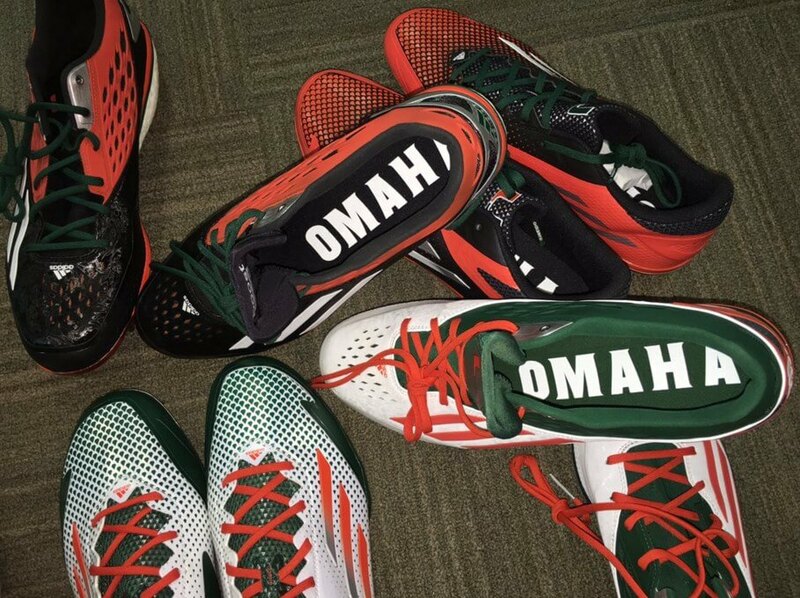 Some will think these are way too gaudy, but Jones is in his own league when it comes to customs. 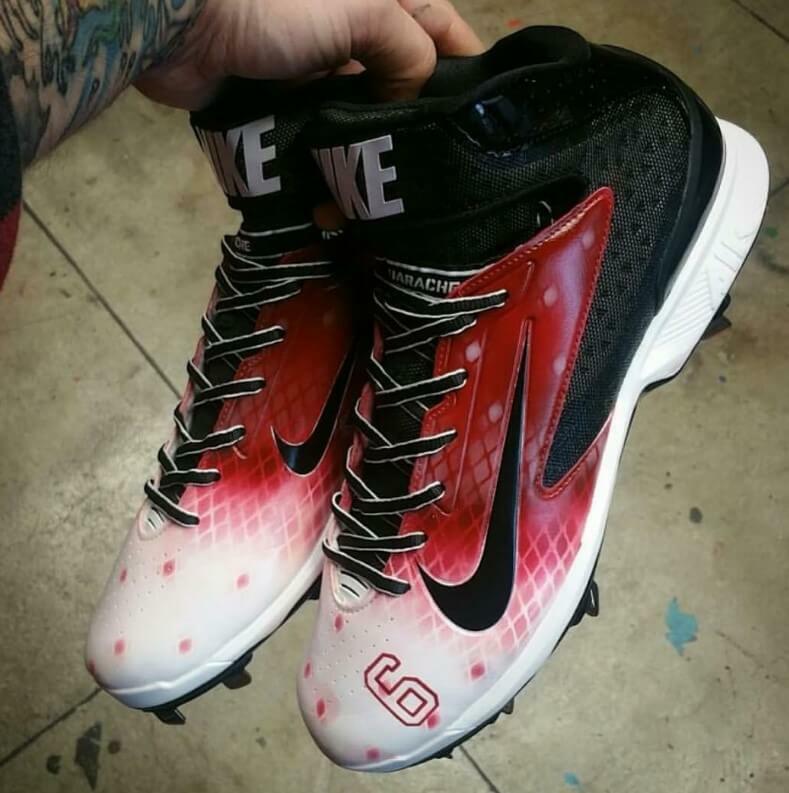 The dopest of them all, the Kickasso Huarache Pros for David Peralta. 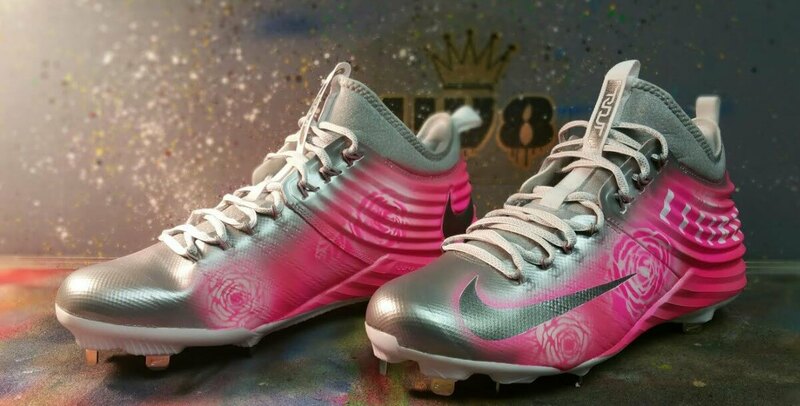 Kickasso is the same artist that did the Joker cleats for O’Dell Beckham (as well as the batting gloves). His work is the most creative on the planet, and scrolling his Instagram is mesmerizing. 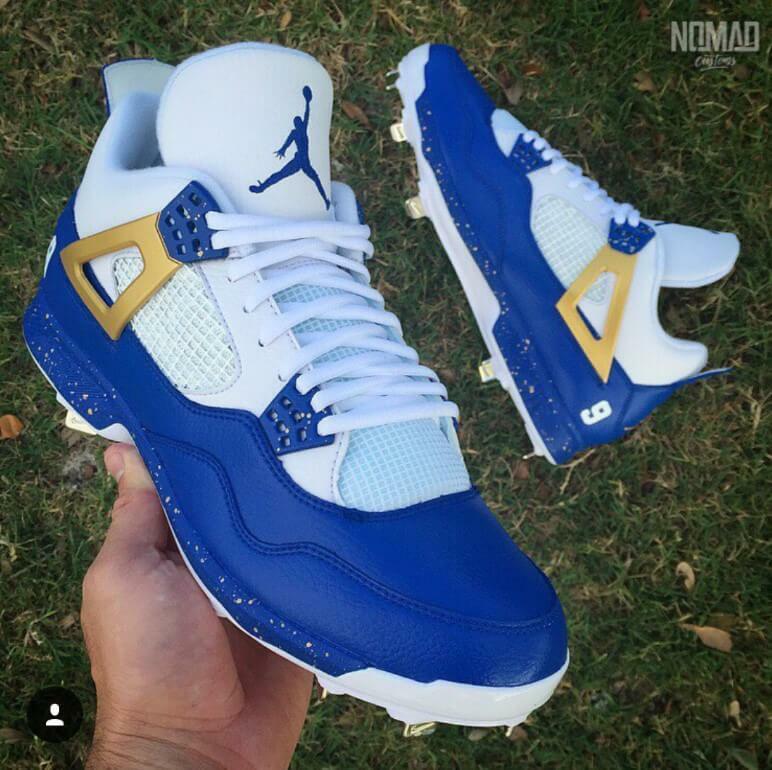 Peralta is actually one of the few baseball players with Kickasso customs, and his Huarache Pros are perfection on spikes. They’re one of Kickasso’s tamest designs, but still gorgeous, creative, and like nothing we’ve ever seen.